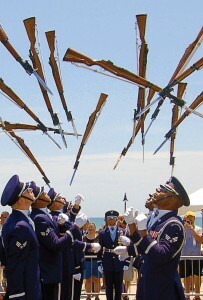 Memorial Day, which falls this year on May 26, will witness special celebrations in a variety of patriotic ways. In fact, some cities observe the holiday all month long. 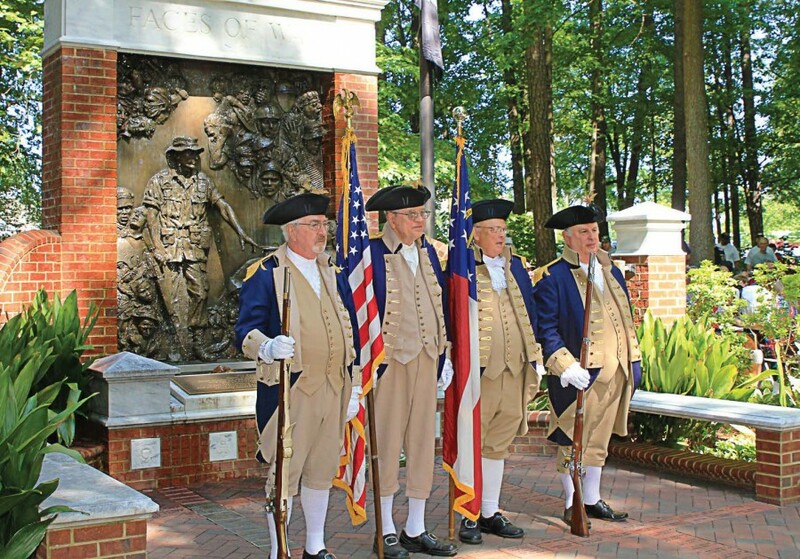 In Myrtle Beach, S.C., Military Appreciation Days are May 1–31. For six years the observance has shown the community’s gratitude and support to the men and women of the nation’s military services. Its thanks are evident during a big Ocean Boulevard parade and a family picnic that takes place on May 24. 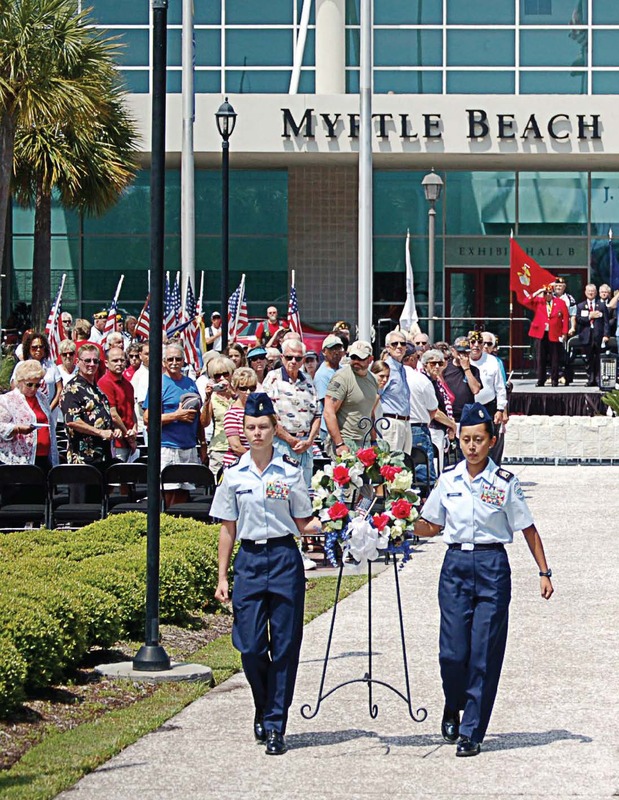 Myrtle Beach was a military town for nearly 50 years, home to Myrtle Beach Air Force Base. The base closed in 1993, but many of those who were stationed there during its long history came back to work or to retire, according to Mark Kruea, public information officer for the city. The picnic, which is set up on the pavilion site, follows a parade and is free to all military or former military members, along with their families. Residents also have the opportunity to meet the parade grand marshal, who is Montel Williams. Last year’s marshal was former Pittsburgh Steeler Rocky Bleier. 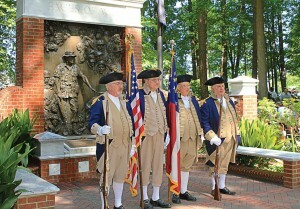 Roswell, Ga.’s annual “Roswell Remembers” ceremony, scheduled this year for May 26, has been dubbed the largest Memorial Day ceremony in Georgia. In 1997, 12 patriotic individuals came together to create a truly unique Memorial Day event: a non-political, non-commercial ceremony honoring veterans and the sacrifices they made in protecting freedom. The first ceremony attracted approximately 1,800 individuals. Roswell Remembers is a joint effort of the city, the Roswell Rotary Club and the Roswell Recreation, Parks, Historic and Cultural Affairs Department. Dubbed unofficially “one of the most patriotic towns in the U.S.,” Henderson, Ky., is home to the Henderson War Memorial Foundation. City Manager Russell Sights and Malcom Neel, a member of the War Memorial Committee, have been told that Henderson sent more men per capita to the armed services during World War II than any other county in the U.S.; it also is rumored to have purchased more bonds per capita. While neither have ever been able to verify the stories, Henderson is a true patriotic community. “We do have an outstanding Memorial Day service and celebration. Henderson is noted as a very patriotic community,” said Sights. The American Legion places 4,000 crosses in the city’s Central Park each year. The placement of crosses began in 1946, with 47 crosses for World War II soldiers killed in action. The War Memorial committee does all planning for the event. “In fact, this is always a well-attended event and many participants actually bring lawn chairs and sit in the street in front of the program platform. In addition, security is provided by the police chief and his officers and street clean up is provided by the public works department,” said Sights. “For those cities who do recognize veterans, both living and deceased, it sets those communities apart to say to those who served in the military, or to families who had a family member serve, that it is appreciated, recognized and remembered by the citizens of the community,” said Sights.